Delhi Auto Expo 2014 which was held a few months ago seemed to be the most sacred place to showcase the latest products of the motorcycle manufacturers in India. When TVS launched the Apache in 2007, it became an instant hit, replacing the Suzuki Fiero and starting a huge fan base. 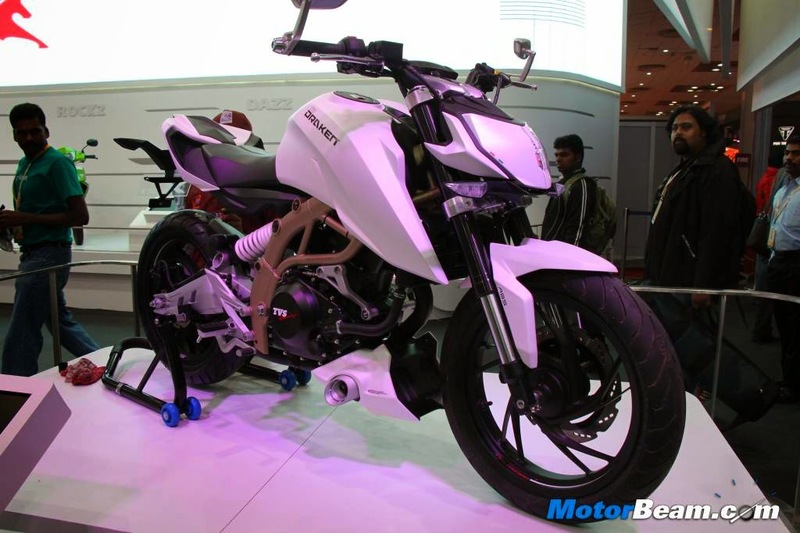 TVS upgraded the Apache from 150 to 160 and also brought out the 180 but further progress was halted. Everyone was expecting more powerful versions of the Apache to come, including a 200 and a 250. That did not happen and every Auto Expo has been disappointing for RTR fans as the company never showcased anything worth a second glance. At the 2014 Auto Expo, things were different, taking centre stage was the TVS Draken Concept.